To identify the Cochlicopa lubricella (Poro 1938) you are usually looking for a pillar like shell that is a maximum of 6 mm with many whorls. (Wayne, et al. 2009) It is usually tan or white with a pink or white rib inside. 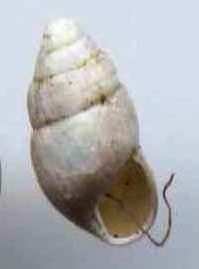 The shell is usually extremely glossy. (Wayne, et al. 2009) This glossy affect is thought to protect from predators. 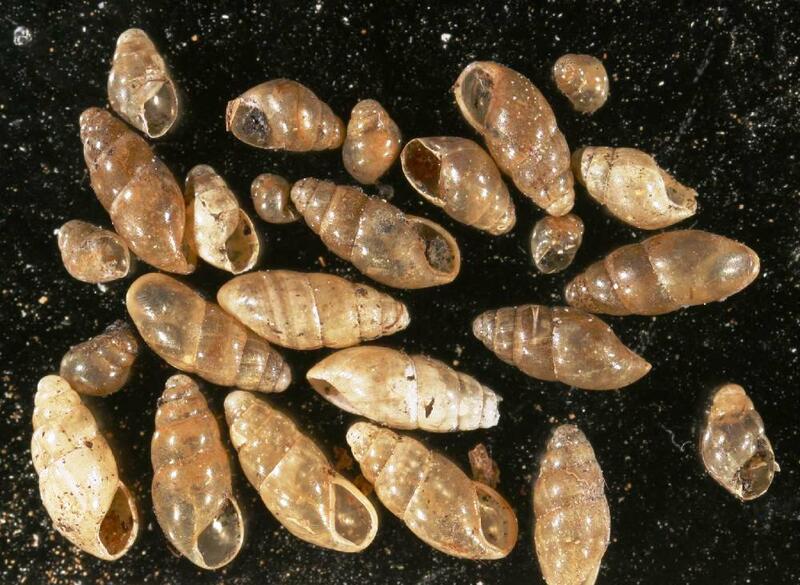 This family of snails will continuously clean their shell with their radula to keep the maintain the glossiness. (Nordsieck 2009) The whorls in the Cochlicopa lubicella (Poro 1938) are usually more rounded than the other species in this family and the shell is commonly a little larger. (Nordsieck 2009) The Cochlicopa lubricella (Poro 1938) is usually lighter in color then the Cochlicopa lubrica (Muller 1774) (Nordsieck 2009). The Cochlicopa lubricella (Poro 1938)tends to have a smaller foot. (Pilsbry 1939-1948) Some characteristics that can't be seen on the outside of these snails is a lung with very fine capillaries, a kidney that is long and triangular passing into a direct ureter. (Pilsbry 1939-1948) A percardium which is much shorter than the kidney. (Pilsbry 1939-1948) However there is a lot of controversy on the identification of these snails compared to other snails in this family. To understand the controversy of these snails lets take a look at the background.